Tokuhatsu products are flowing around the world from our China interests, which are making significant progress. Since we started offering our expertise to China in 1987, Tokuhatsu founded Hangzhou Tokuhatsu Spring Washer Co., Ltd. as a joint venture in 1993, and founded Zhejiang Tokuhatsu Metal Products Corporation in 2003, The two companies have developed the business in China. Taking occasion to the management period expiration of Hangzhou Tokuhatsu Spring Washer Co., Ltd. in 2013, we integrated the business of two companies into one company, and started newly Zhejiang Tokuhatsu Metal Products Corporation. 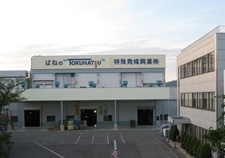 Tokuhatsu aims at a further business expansion in a Chinese market that grows up drastically. In our Chinese companies, parts are produced as a full featured operation, from mold fabrication to part molding and heat treatment, under strict quality control at the same level as found in Japan. Since 1993, they have supplied products to automobile manufacturers affiliated with Japanese car makers and gained a reputation for high reliability. They import carbon steel bands and low-carbon steel wire rod from Japan depending on the intended use, and pursue all possible measures for quality. As a member of the NHK Spring group, Tokuhatsu has deep ties with other companies in the group covering a wide range of fields. Thus, it can meet the needs of its customers with greater support. As the world's top spring manufacturer, NHK Spring Co., Ltd. promotes the development of new products, not only in the automotive field but also in the information and communication fields, in the industrial field, and in the field of life. It always responds to new market needs and works hard at making high-quality products. 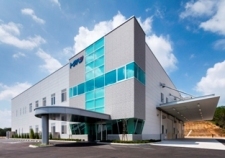 By deepening its ties with the companies in the NHK Spring group, Tokuhatsu has enhanced its technical capabilities, productivity, and selling power, and is working to constantly improve customer services.